Come and see who you can be! This is the website of Dr. Lisa Seropian. We hope that you enjoy getting to know Dr. Seropian and that you find visiting this website to be a helpful step toward making the life changes you want to make. Our number is on every page of this web-site, so call as soon as you are ready. 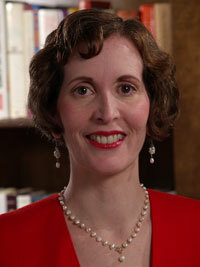 Dr. Seropian has been practicing psychology for more than twenty years, full-time, with her doctorate degree. She has another ten years of experience working in the mental health field during college and graduate school. So that's a total of 30 years in the field. She is an experienced and highly skilled clinician. Are you looking for useful information about how you can feel better, do better, work more effectively, or improve your relationships? Would you like to know how to help your child function better or be happier? Dr. Seropian is a Licensed Psychologist who is knowledgeable, skilled and effective in helping people achieve their goals for themselves and for their children. With adults, the doctor will help you identify what you want to get out of your treatment. Using a dedicated play therapy room for children and adolescents, the doctor works as Play Therapist to help children and youth find new ways to express themselves and solve their problems. If you are ready to call now, here's the number: 704-776-6438.